This is the first in a series of three posts chronicling my October break trip with my dad. You can read my introduction to that trip here and you can read about my first trip to Bangkok here. The destinations that followed, Hanoi and Hoi An, can be found here and here. 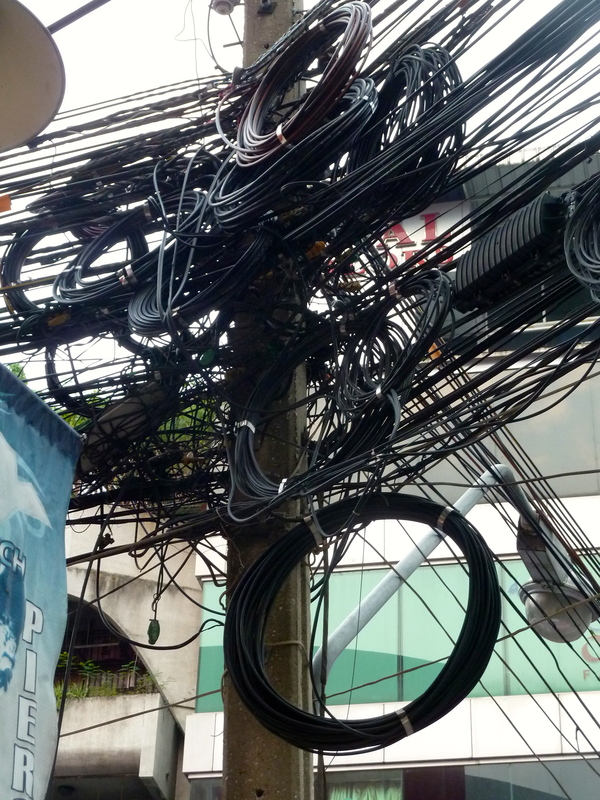 Thailand’s idea of how to wire a city. I couldn’t stop taking pictures of these the first time I was there! We landed in Bangkok late Friday night and were up at and it early the next morning. Our first stop was Wat Pho, which is a beautiful temple complex. Dad struggled a bit with the heat, but he persevered admirably. 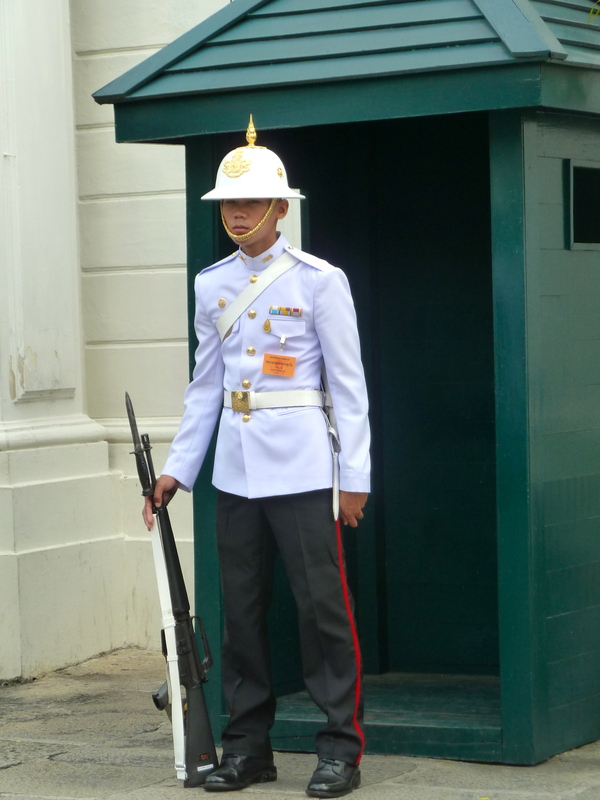 My guidebook (Lonely Planet’s Discover Thailand) had a really good walking tour, so we simply followed that. I liked Wat Pho a lot because each temple was different. There were shaded areas throughout the complex, which also made it very pleasant to walk around. 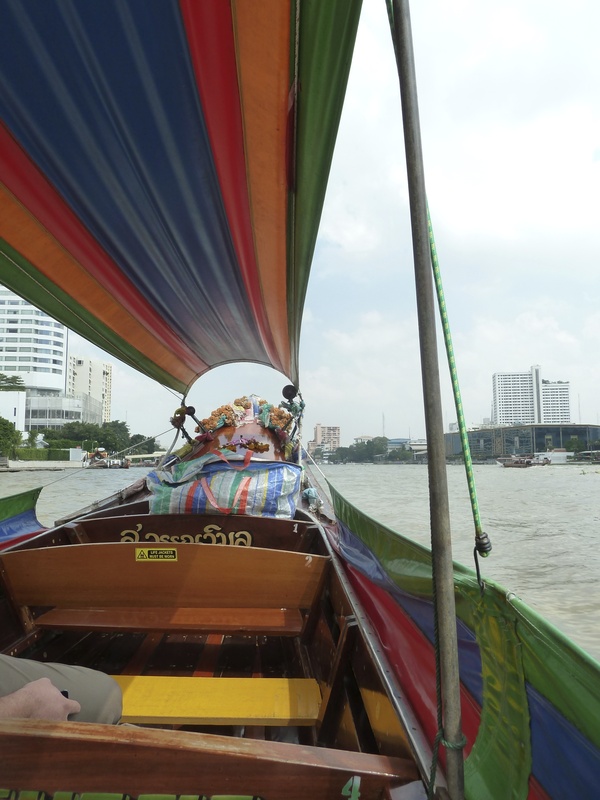 We took a small water taxi to get to Wat Arun, which is an experience I think everyone should have. After a delicious lunch of pad thai, green curry, and Thai iced tea, my Thai favorites, we crossed the street to visit the Grand Palace. Mitch and I were in Bangkok a year ago, as I mentioned, but it was fun to go back and see it all through my dad’s eyes this time. Now that I’m used to certain aspects of life in Asia, and certainly now that I’m used to traveling in Asia, I’ve somewhat lost track of what used to make me uncomfortable or strike me as new or different. I revisited all of that during my weekend in Bangkok with my father. Why are silly hats a guard requirement? While I appreciated the guided tour and learning about Thompson’s art collection, which was unlike most art that I’ve seen because I’ve mostly seen art around Europe, I also really enjoyed the views from the house’s windows. They provide an insight into real life in Bangkok. 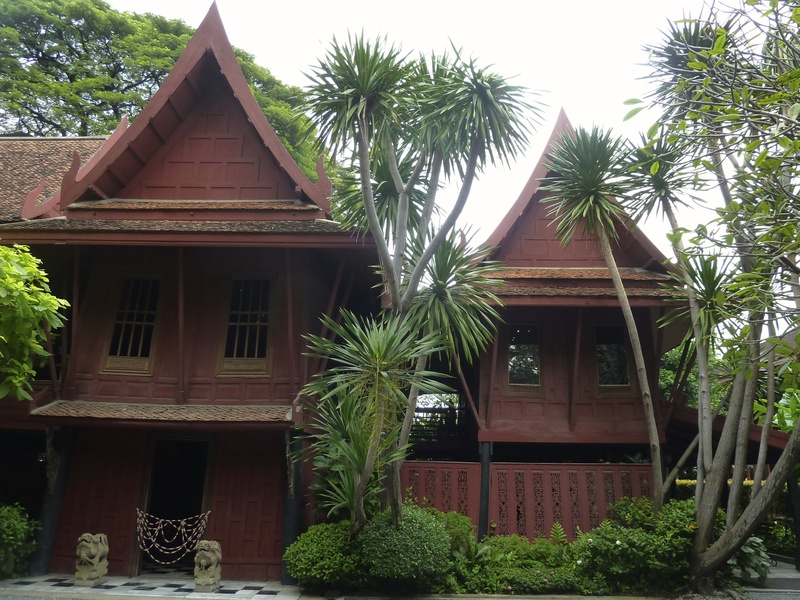 I do expect the scenery was a bit different when Jim Thompson moved into his house, however. Finally, I was glad for the opportunity to revisit Chatuchak Weekend Market. We were actually shopping for souvenirs this time and got a lot better at bargaining each time we did it. Learning from mine and Mitch’s past mistakes, Dad and I went to the market hungry and tried some tasty food. Live and learn, right? 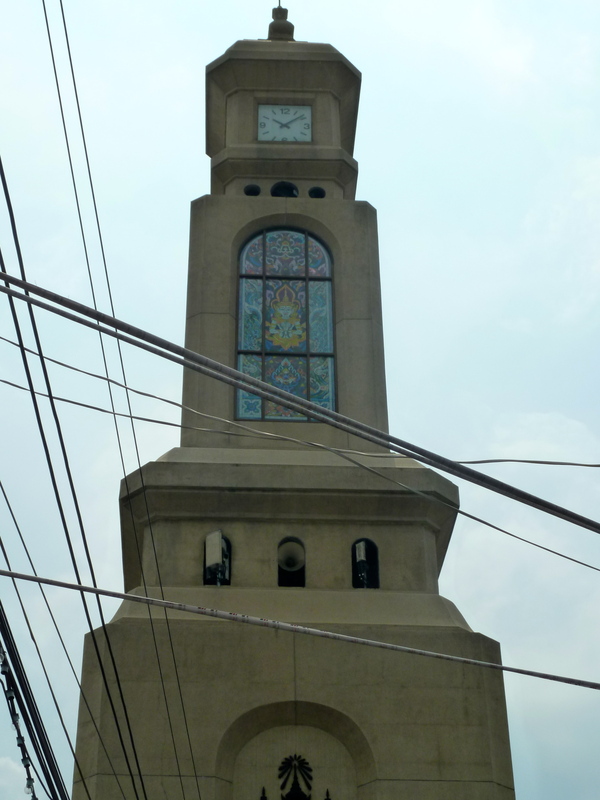 The clock tower at Chatuchak Weekend Market. Not only is it iconic, but it’s also a useful orientation tool. 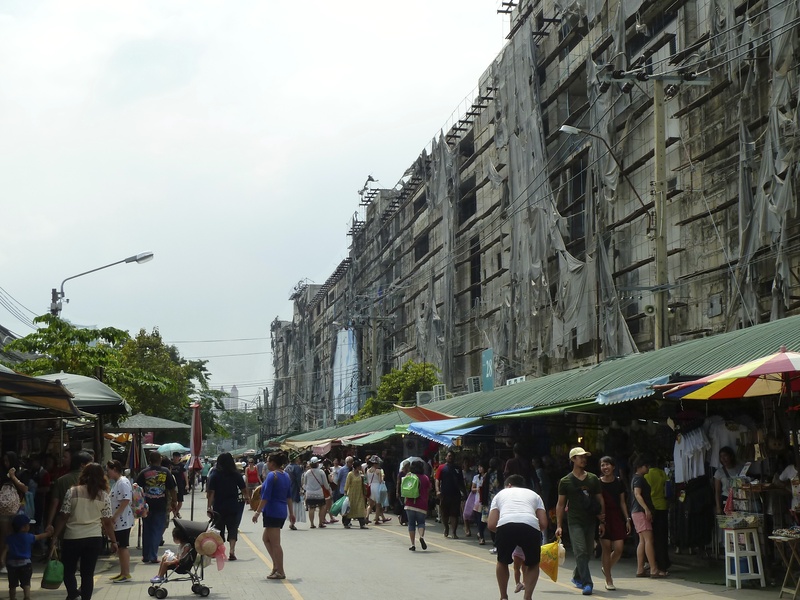 Exterior of Chatuchak Weekend Market. My interiors photos couldn’t possible capture the size and scope of this operation, but the exterior should give you an idea of the resourcefulness of many of the vendors. 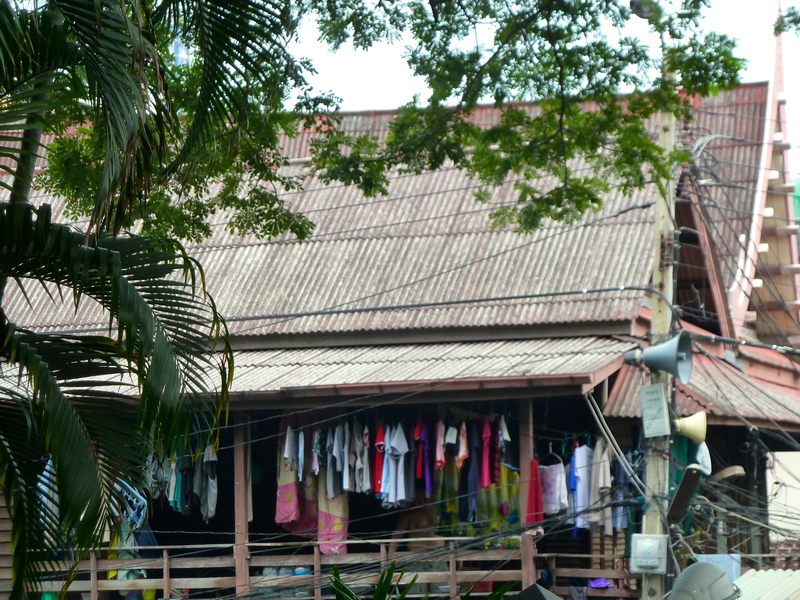 Since I’d been to Bangkok before, I took the fewest number of photos while we were here. We stayed from late Friday night to early Monday morning, which was more than enough. 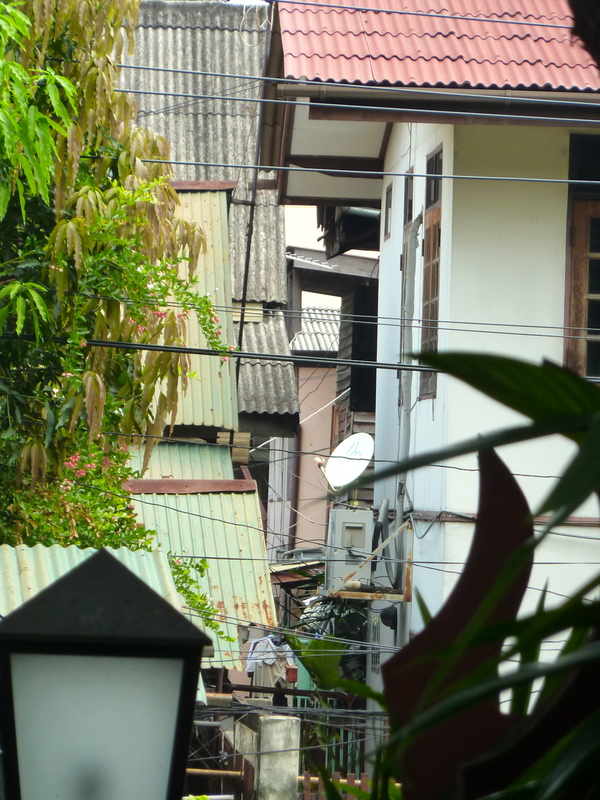 Bangkok is loud, busy, smelly, chaotic, and a wonderful experience. I’ve now been twice and I’m glad; the first time let me see the city and the second time let me take a closer look because I was no longer surprised by what I saw. A very good friend is spending a couple days in Bangkok next month and I can’t wait to hear his thoughts about it! Click here to read about our second stop, Hanoi. Really enjoyed this portion. I am looking forward to the next one. Bangkok looks wonderful! When you travel, how do you organize your documents? I saw this article about that yesterday: http://www.thetriggerboxblog.com/planning-a-trip-organize-your-documents/. I may actually use that approach. Thoughts? Thanks for reading! To be perfectly honest, I’m young and single, so I don’t have that many documents. What I do have, however, are copies of passport, driver’s license, credit cards, healthcare card, and banking information in the keeping of my parents back in the US. My mother is a joint-signer on all of my accounts because power of attorney won’t give her immediate access should something happen to me. Ah! I loved Chatuchak market. 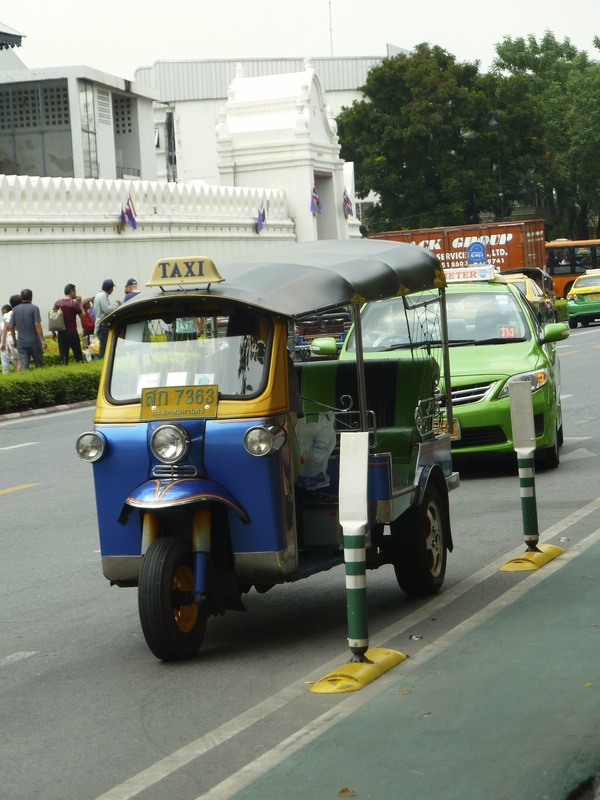 It was the first thing I did in Thailand, and was a wonderful introduction to the sights, smells and food in Bangkok.